What Do Florida Tagging Results Suggest? On October 10, 2002, Ms. Laura Witkiewicz witnessed one of the hazards of migration when visiting Panama City Beach, Florida. Thousands of dead monarchs littered the beach. Importantly, of the nearly 12,500 monarchs he has tagged at St. Marks Refuge in ten years, only three have been found in Mexico. This is far, far below the ratios recorded elsewhere. According to Dr. Chip Taylor of Monarch Watch, nearly 1% of all monarchs tagged are found at the sanctuaries in Mexico. 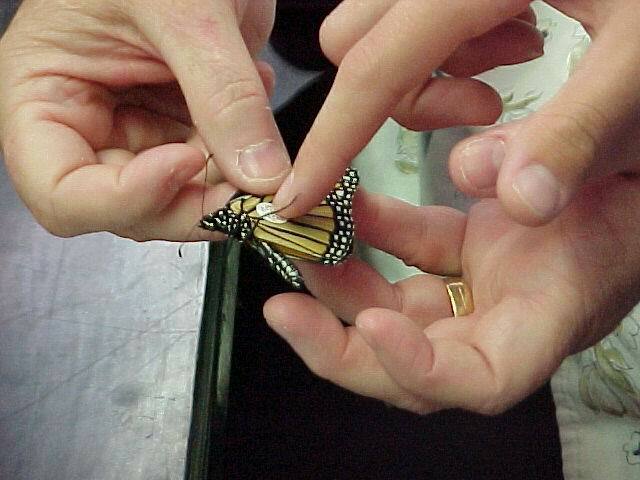 In reality, only 1 in ___ of the St. Marks, FL monarchs has been recovered in Mexico. Write a description comparing this rate of recovery. What do you suppose is happening to the Florida monarchs? Work through these problems yourself, then check our answers. How to use maps and other geographic representations, tools, and technologies to acquire, process, and report information. Understand meanings of operations and how they relate to one another.